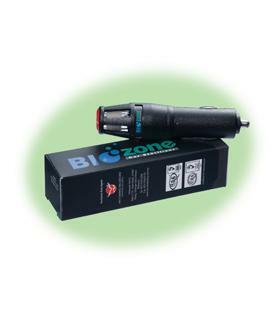 Direction of use: Insert BIOzone Car Sterilizer into the cigarette lighter socket. The unit is switched on (indicated with glowing LED). Switch on air conditioner to allow effective air purification.